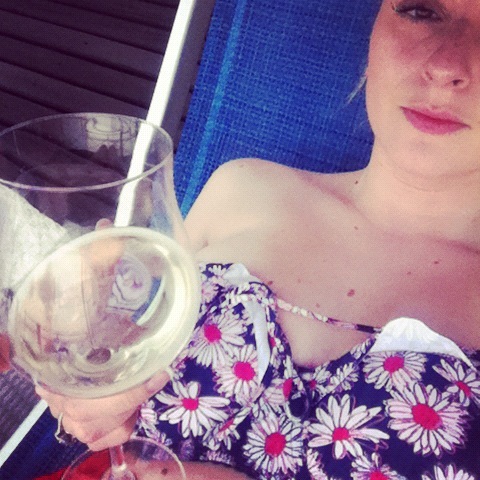 We used Trip Advisor to find our wonderful little Hotel Eden and we couldn’t have been happier! 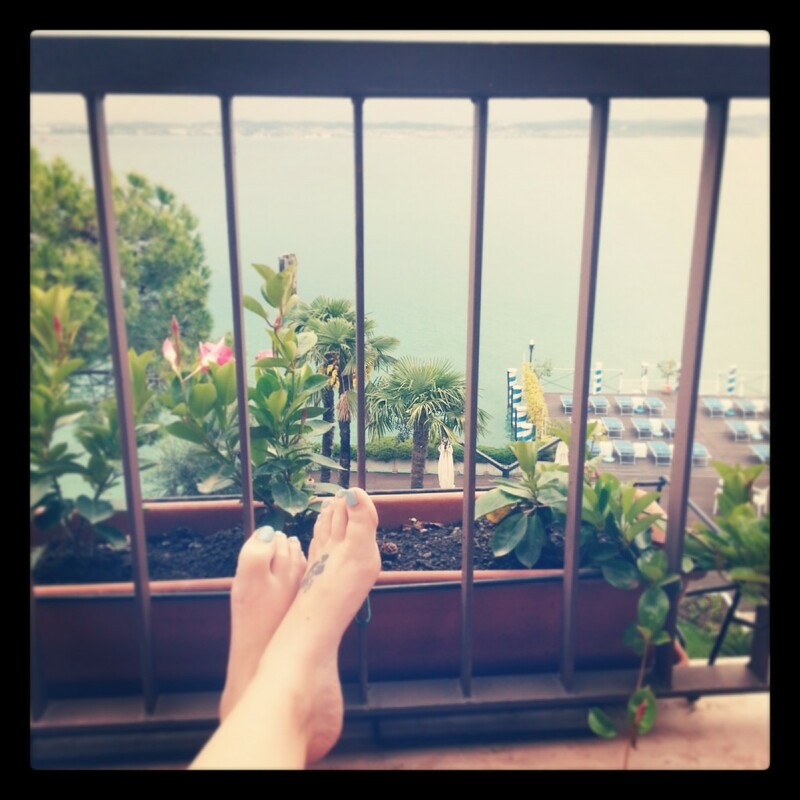 We went for a 4* hotel, which I think is necessary in Italy to know that you’re getting a decent standard and the main conditions for us when looking, was somewhere with a balcony overlooking the Lake. Hotel Eden certainly gave us that! Located just inside the castle walls and with a private deck full of loungers over the Lake, it really was picture perfect. We were a stones-throw from the jetty where the boats stop-off to take you to the other towns across the Lake and just off a piazza filled with gorgeous restaurants (we pretty much had tried them all by the time we left). Our “Quality Bedroom” was a large double-bedroom with private balcony overlooking the Lake and a decent sized en-suite bathroom. The room was plenty big enough for us and as we were in the corner room on the 3rd floor, we had dual-aspect with one window overlooking the piazza and the other overlooking the Lake. The rooms are stocked and serviced daily and are modern enough to feel luxurious. The main thing about the hotel is the staff and service. It only has 30 bedrooms so is a nice size and you get a more personalised experience because of it – the staff couldn’t do enough to help and advise us. There is a comfortable bar and a lovely open breakfast room that overlooks the decked-area by the Lake. As the weather was so stunning, we enjoyed our buffet breakfast every morning outside overlooking the glistening water – a truly romantic touch for a honeymoon. And the best thing ever was the fact that they served Prosecco as part of the buffet breakfast! Gosh I love Italy! Couldn’t resist an Aperol Spritz could I..
Mmmm Prosecco and nibbles on the loungers overlooking the Lake became a bit of a theme of our stay at Hotel Eden, whilst we enjoyed many-an-hour sunbathing. The barman knew our order before we even had to look at him by the time we left. 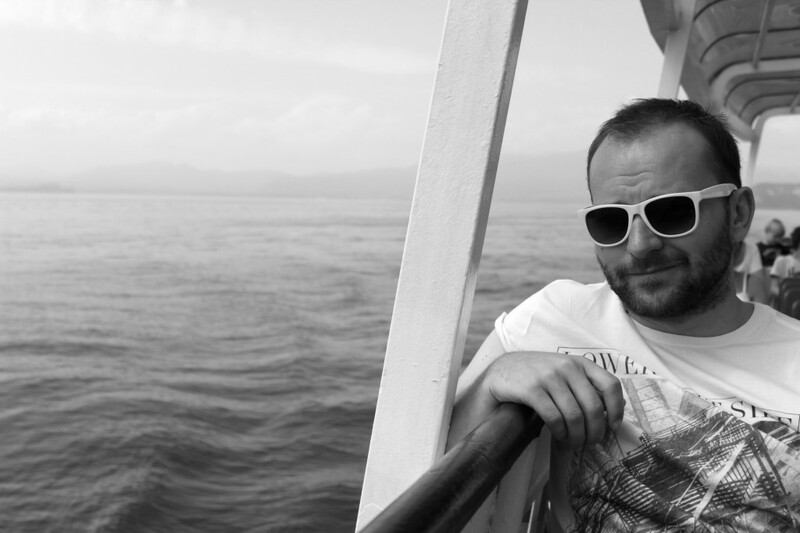 Ok…onto Lake Garda itself. There is so much to do across the Lake…too much to pack into 6 days to be honest! As it was our honeymoon, the main goal was to eat lots, drinks lots and relax to the max! So this is what we did. We took the odd day-trip across the Lake, seeing Bardolino and Desenzano. The boat is fairly reasonable with prices from about 8 euros to 20 euros per person, depending on how far across the Lake you go. The towns on north of the Lake are a minimum of 50mins away, so you really need to make a day of this. We didn’t really have time, so stuck to the mid and South. There certainly wasn’t a shortage of things to do, with a different market in a different town each day, boats to be hired, sunbathing to be had and food to be eaten! Bardolino is a great little town, very pretty with a harbour full of boats and only about a 40 minute boat-ride from Sirmione. It also happens to play host to a very delicious wine…yum. Another place we visited by boat was Desenzano which is one of the largest towns and home to the main train station (where we arrived to from Venice). The port and stretch along the lakeside is very pretty and there was a fabulous antiques market on when we went. Well worth a visit and only 15 mins by boat from Sirmione. One of the best things we did during the entire honeymoon was rent a boat on the Lake. It’s not something we had particularly planned to do, but when our plan to head to Verona for the day fell through, we were at a loose end and the hotel staff recommended it to us. The boat rental was just at the opening to the castle however as our hotel had a private jetty, we didn’t even have to walk the 200 metres! Instead 30 minutes after we decided to do it, a boat picked us up from the end of our jetty, took us to fill up with petrol and before we knew it we were off on a romantic and private trip across the Lake. 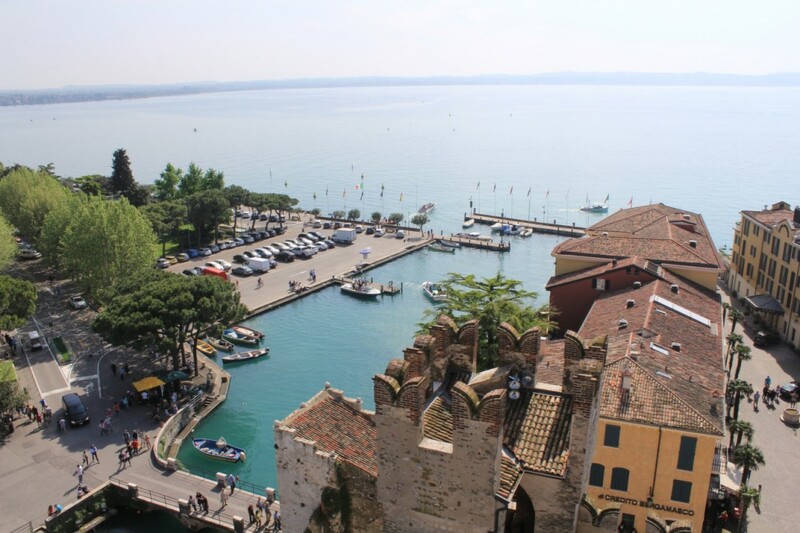 Of course we couldn’t have left Sirmione without visiting the Castello Scaligero itself. We had walked passed it for days and eventually decided to pay the 5 euros to go in and we were so glad we did! Really had the best views across the whole town and Lake. I fear I’ve rambled-on too much, but there is so much to say about the beautiful Lake Garda! So all I’ll leave you with is: I whole-heartedly and confidently can recommend the Lake and Sirmione in particular, for a holiday or honeymoon. It has everything you need: good food, good wine, stunning views, bustling towns and a glistening Lake. We’d like to go back and do the north of the Lake next – any recommendations of places to stay or go?